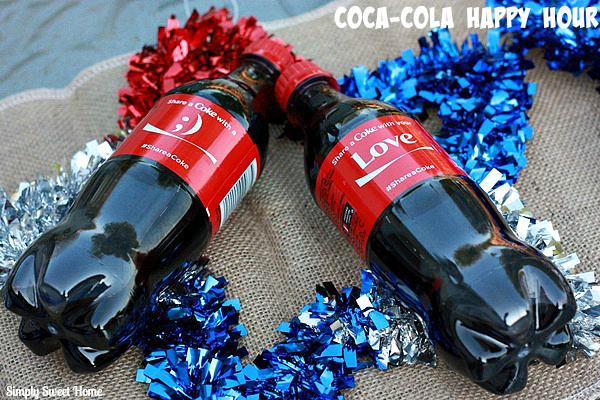 This summer Coca-Cola has brought back their Share a Coke campaign, complete with fun personalized bottles and cans. 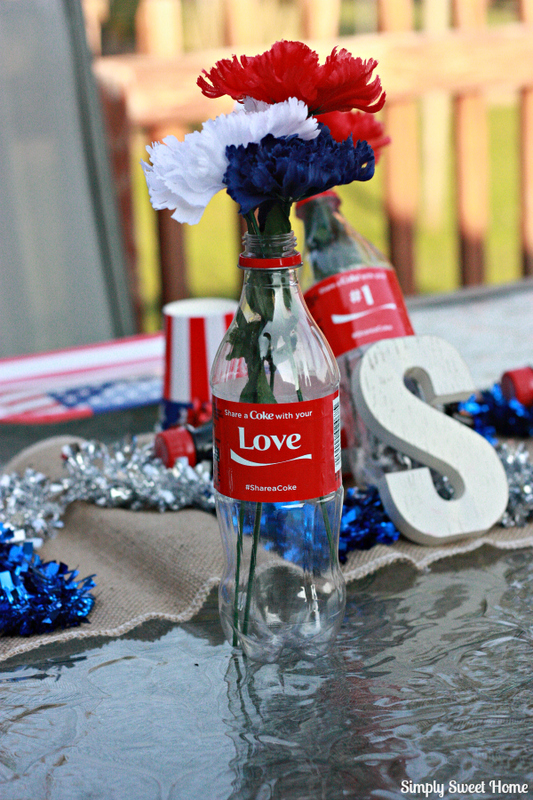 Coke has always been my favorite drink, and last year I had my fair share of cans and bottles with fun words like “Superstar” and Soulmate” written on them. Then this year I’ve gotten bottles that feature emoticons and the words “Love” and “Amor.” But even better than that, I found a bottle with my husband’s name on it! I was shopping at Walgreens when I found this Share a Coke display. Just as I was telling my husband, “I know I won’t find our names here”, I saw “Gary” at the bottom of the display. Yay! Look for similar displays at your local Walgreens and in the drink refrigerator. 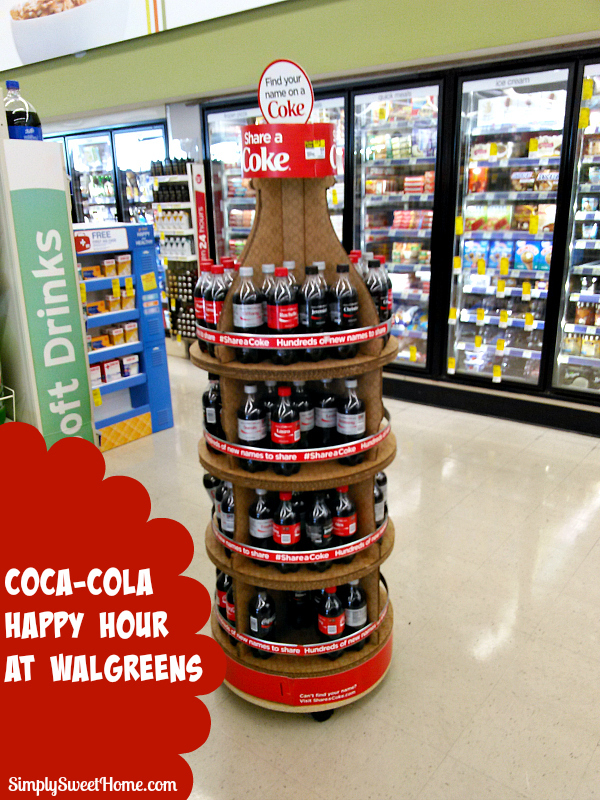 To make things even better, we were able to take advantage of the #CokeHappyHour deal at Walgreens. Every Wednesday through Friday from 4:00 to 7:00pm, Buy 1 Coca-Cola 20 oz. bottle and Get 1 Free 20 oz. bottle. 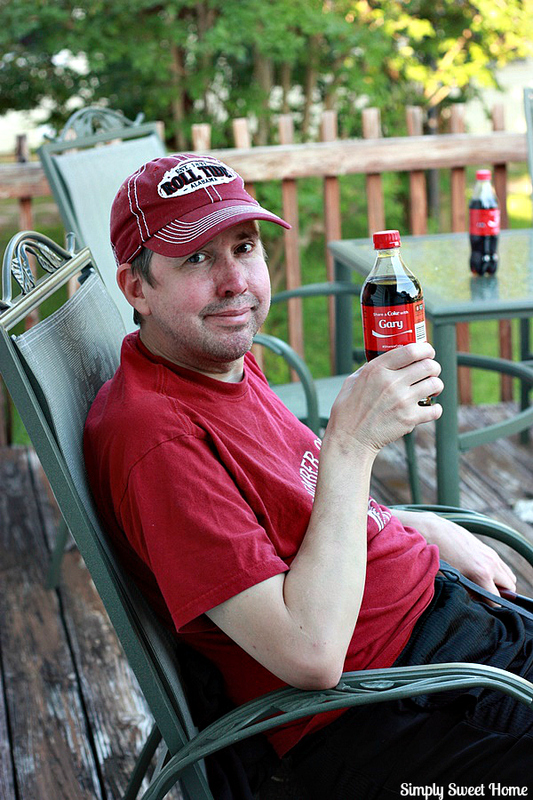 Apart from just hanging out and talking on the deck, we love to do cook outs in the summer time. We generally grill out once a week even when it’s just the two of us, and then when Noah is with us, we usually grill out a couple of times. 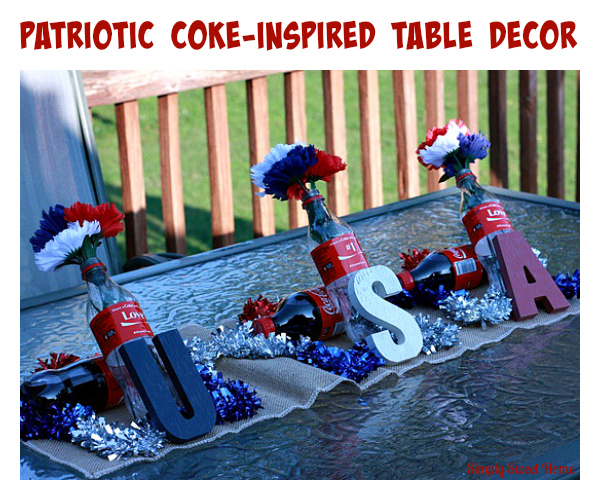 I recently picked up a few things in preparation for a big summer cookout for guests, and I started getting a few ideas together for decorations, inspired by the Share a Coke bottles. First I placed the runner in the middle and then I placed the stars. (You could also use anything else that’s flat, yet colorful). 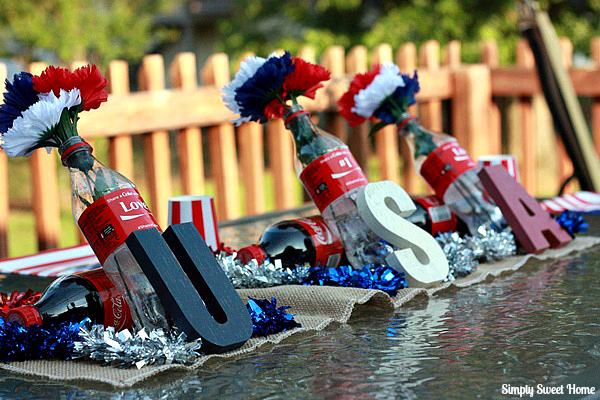 Next I laid down three full Coke bottles. I used these so I would have some something to lean my empty coke bottles on. Inside each empty bottle, I placed three blooms from an artificial bunch of flowers. Finally, I leaned the letters up on the bottles. The bottles also make a great stand alone vase for artificial or real flowers. 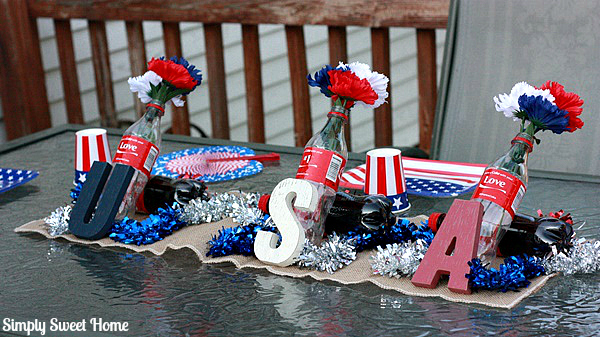 You can even remove the labels and paint the bottles to fit them in with other party themes and colors. Or you can turn the bottles in to instant lanterns using Christmas lights or candles. Use your imagination! Don’t forget the deal at Walgreens! Every Wednesday through Friday from 4:00 to 7:00pm, Buy 1 Coca-Cola 20 oz. bottle and Get 1 Free 20 oz. bottle to share! You can load the coupon instantly on the Walgreens app or click here for more information. why are the bottle leaning?